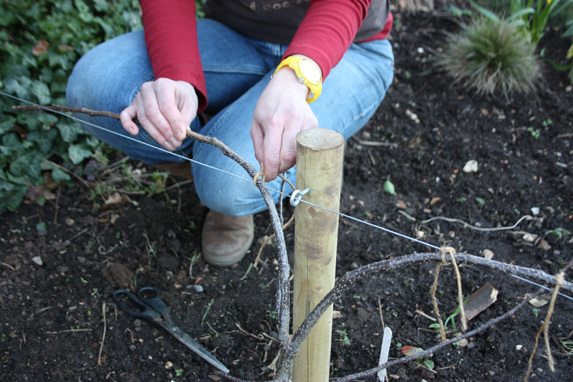 I have run out of room in my garden to plant any more standard fruit trees, but after planting a step-over in AG 24/31 December issue I realised that I could get away with another one, using the excuse that it is needed for dividing a border. 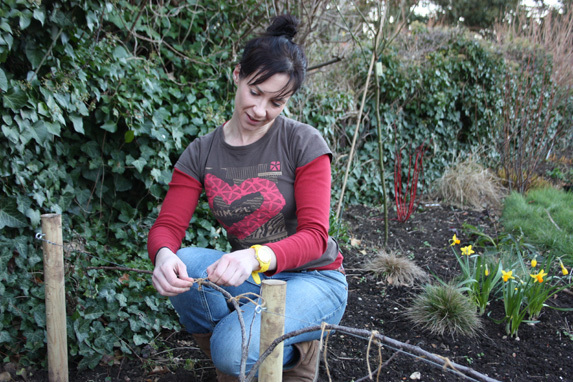 This apple step-over is a two-year-old maiden tree, with two side branches ready to train. Gradually bending the stems to fix onto the support can take all year, but fortunately they bent to the desired height in one go. 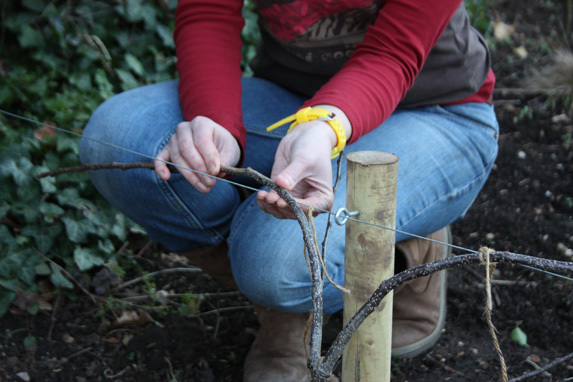 I used garden string to tie in place and will have to check regularly that they are not damaging the branches, because although young and flexible, there can be problems if the ties break and the branches snap before they have adapted to their shape. So now I have five apple trees, two cherry trees, one peach, one nectarine, one medlar, a fan-trained greengage, kiwi, and two pear trees! I have a feeling I will be cooking up some delicious puddings in late summer.